Our lightest roast is also our most expressive. We gently roasted this coffee, revealing a surprisingly intense and beautifully expressive blend. From the first sip, African beans sing with juicy, lemony notes, followed by the bright, lyrical finish of Latin American coffees. A layered, lively cup, resoundingly crisp. 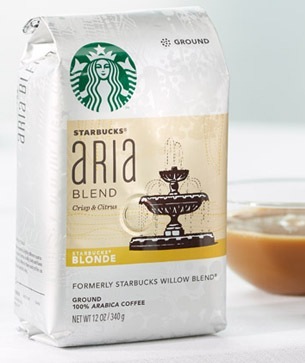 Formerly known as ‘Starbucks Willow Blend®’ where you buy groceries. Also available in decaf.